Spring training isn't for just baseball players anymore. Once those spring days roll around, people are dying to expand their workout -- not just in the gym, but outdoors, too. And with new workout regimes come new workout gear and, this season, lightweight continues to be the "it" thing with running. Building on the success of the Faas lineup, Puma introduces a non-posted stability model in the Faas series ideal for over pronators looking to lighten up their ride. This shoe is created for runners that don’t need all the jazz of conventional running shoes, but still need a little support. The Faas 800 will offer runners stability through the geometry of the shoe. This is accomplished through a one piece midsole as well as additional medial wall buildup instead of a traditional post. 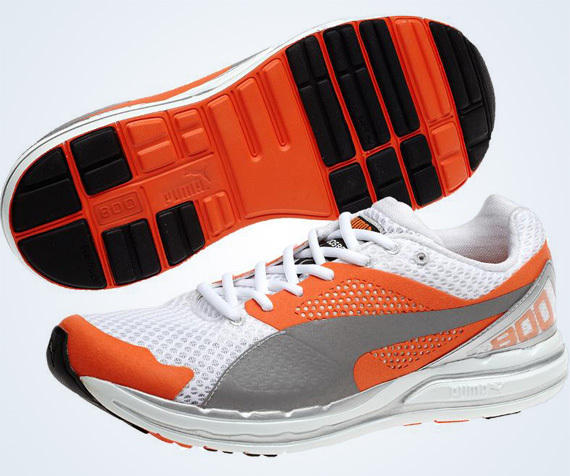 The Faas 800 is now available at Shop.PUMA.com.